Discussion in 'Chicken Behaviors and Egglaying' started by black_fx_35, Jan 4, 2011. 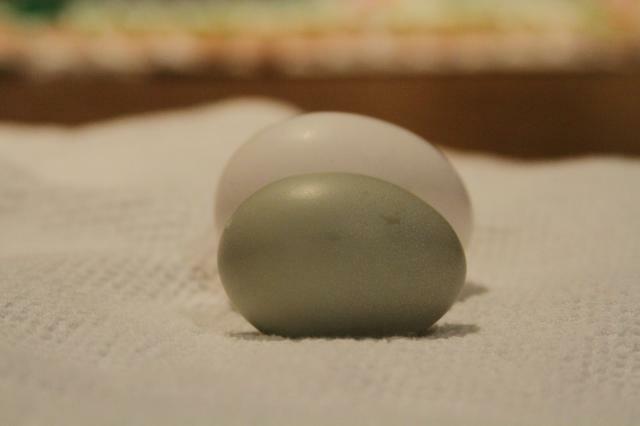 My Barred Rock and Cuckoo Maran have both been showing signs that they were ready to lay (squating, etc)....and I got my first egg today! Shockingly, it was from neither. My first egg was from my Easter Egger!!! Beautiful!! 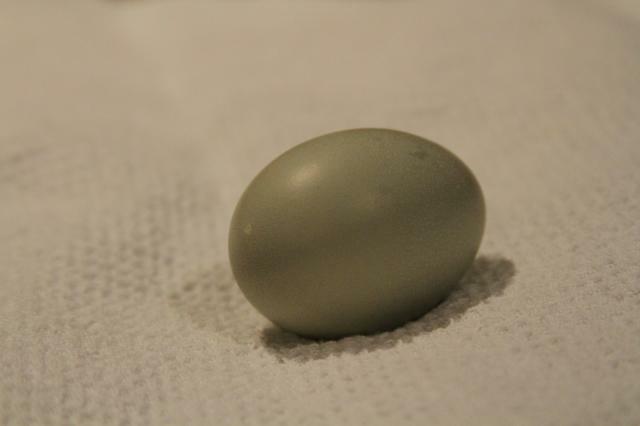 My easter egger laid her first egg today too!!! I bet your other girls will lay within a week - congrats! Pretty Egg. Congrats!!!! The first egg is so exciting!!!! 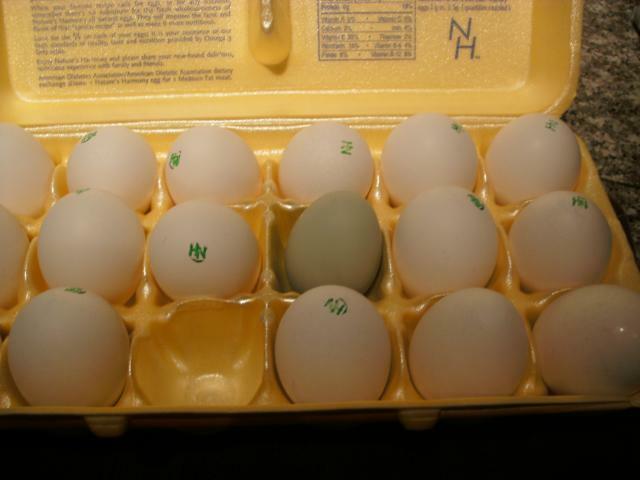 I got my first egg yesterday and it's the same color and size of yours. Nothing today. I'm saving till I have 4 so we can each have one. Let me know if you get one tomorrow. I love it! I got my first egg last week too. My Leghorn girl. She has been quite productive! She's 6 eggs for 7 days. Thanks so much for all of the "congrats"! I thought this day would never come...have been checking every morning before work for the past 3 weeks...nothing this morning. Went out to get the water from the coop so it doesn't freeze tonight and decided to look....was shocked that this was here! 25 weeks and 2 days....hopefully the other 6 start laying too! Got another one today. Every other day will be ok for me. Suddenly Dying 8 week old chick! Any idea why Scraggles is so ..?